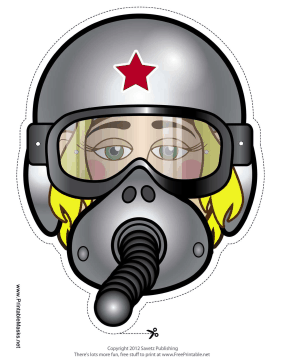 Get ready to fly high in the sky with this blond female fighter pilot mask! Her red star helmet and goggles keep her safe even at high altitudes. This mask is free to download and print.